You are here: Home / General / But What Have You Done for Me Lately? #5. 2004-2005 Boston Red Sox (7-run differential): If the current Red Sox squad needs a reminder that an Opening Day beatdown means little in the long run, they need look no further than the 2004 Red Sox team that broke the alleged and ridiculous “Curse of the Bambino” to win the Hub’s first World Series title since 1918. The Sox were down three games to none to the hated New York Yankees in the ALCS, won the next four in dramatic fashion, swept the St. Louis Cardinals in the Fall Classic, and the rest is history. Boston faced the Yankees at Yankee Stadium to start the 2005 season and lost 9-2 in a 15-hit attack led by Hideki Matsui, who went 3 for 5 with a homer, three runs batted in, and three runs scored. Ironically, Boston’s starter was former Yankee southpaw David Wells, who donned a cap once worn by Babe Ruth in a 1997 start against the Cleveland Indians. Maybe the Bambino was still in play after all. In Boston’s defense, they faced future Hall of Famer and five-time Cy Young Award-winner Randy Johnson, who had 246 career wins, a .658 winning percentage, and 4,161 strikeouts going into the game. The Sox recovered to finish the season at 95-67 and tied the Yankees for first place in the American League East, but earned a wild card berth because New York won the season series, 10-9. Alas, the Carmine Hose lost to the Chicago White Sox in the ALDS, paving the way for the Pale Hose to break their own World Series drought and win a title for the first time since 1917. #4. 1992-1993 Toronto Blue Jays (7-run differential): Unlike the Blue Jays’ 1977 expansion counterparts in Seattle, Toronto didn’t take long to become a contender and made it to the ALCS in 1985. Four years later, they began a five-year run in which they played in four league championship series and won two World Series, including in 1992. They opened the 1993 season against the Mariners in Seattle and laid an egg, losing 8-1, and went 8 1/3 innings without scoring a run after Joe Carter put the Jays up 1-0 with a two-out triple in the first off of the aforementioned Randy Johnson. But fellow Hall of famer Jack Morris wasn’t up to the task and Seattle pounded him into submission with seven runs on 10 hits, four walks, and a hit batter in only 4 1/3 innings. Fortunately, Toronto’s bullpen was stellar and allowed one hit over the last 3 2/3 innings or this might have been number one on the list. The Jays recovered nicely, held off a few teams until September 10 when they took over first place, then won 17 of their final 21 games to win the AL East by seven games. They copped their second straight championship in 1993 by beating the White Sox in the ALCS, then dispatching the Philadelphia Phillies in an epic Fall Classic that boasted a 15-14 Game Four and Joe Carter’s walk-off homer in Game Six to win the Series for Toronto. #3. 2018-2019 Boston Red Sox (8-run differential): The 2018 Red Sox squad was one of the most enjoyable and impressive teams to watch from start to finish as they became the 11th team to win at least 108 games in a season and broke the franchise record of 105 set way back in 1912. They lost 6-4 on Opening Day when the Tampa Bay Rays overcame a 4-0 deficit and plated six runs in the eighth to negate Chris Sale’s excellent performance in which he allowed one hit and fanned nine over six innings. The Sox proceeded to win 17 of their next 18 games, took over first place for good on July 2, and never looked back as they ran away with the division title, pennant, and World Series title by going 11-3 in the postseason. They opened this season in Seattle and were pounded by the Mariners, who belted five round-trippers, including three off of Sale in three innings, en route to a 12-4 victory. The Sox came back in stirring fashion in the second game when Mitch Moreland smacked a pinch-hit three-run homer in the ninth inning and four Boston relievers combined to whiff seven of the last 14 Mariners in the 7-6 win. Only time will tell if the Sox are a championship team in 2019. #2. 1987-1988 Minnesota Twins (8-run differential): After having won only 44% of their games since the 1980’s began, the 1987 Twins came out of nowhere to win the AL West by two games over the Kansas City Royals before beating the Detroit Tigers in five games to win their first pennant since moving from Washington to Minnesota in 1961. The Twinkies then defeated the Cardinals in seven games thanks in part to Homer Hankies, Steve Lombardozzi’s bat, and stellar pitching by future Cy Young Award winner Frank Viola. The team caught lightening in a bottle in 1988 when Kirby Puckett, Kent Hrbek, Gary Gaetti, Viola, and southpaw Allan Anderson all enjoyed career years, the latter pair leading the league in wins and ERA, respectively. Minnesota won six more games than in 1987, but finished 13 games behind the eventual pennant-winning Oakland A’s, who rode Jose Canseco’s bat and legs, and Dave Stewart’s arm to 104 wins and a trip to the World Series where they lost in five games to the Los Angeles Dodgers. The Twins opened the ’88 campaign on April 5 at Yankee Stadium and all of the above should have stayed in bed. The team was held to three hits by 34-year-old veteran Rick Rhoden and Viola was hammered for six runs in five innings in what ended as an 8-0 whitewash. Minnesota began the season with a 9-16 record, good for last place in the AL West and a 10-game deficit on May 4 before they righted the ship and went 82-55 the rest of the way. Either way, they weren’t going to catch the A’s. #1. 1926-1927 St. Louis Cardinals (9-run differential): Much like the Twins, the 1926 Cardinals won a World Series in seven games, then finished with an even better record the following year only to finish in second place. The ’26 team went 89-65, finished two games ahead of the Cincinnati Reds, then beat the Yankees in a Series saved by Grover Cleveland Alexander, who fanned Tony Lazzeri with the bases loaded to end the seventh inning, then watched Babe Ruth end the contest with an ill-advised attempted steal with slugger Bob Meusel at the plate. 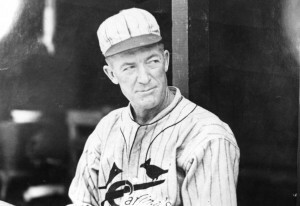 The 1927 team opened defense of their championship on April 12 against the Chicago Cubs at Wrigley Field and things couldn’t have gone worse for the Cards. They jumped out to a 1-0 lead in the top of the first when Cubs hurler Charlie Root threw away a pickoff attempt before surrendering a run-scoring double to Les Bell. But it was all downhill from there. Alexander was able to go only four innings and left the game down 6-1 after giving up longballs to Earl Webb and Charlie Grimm. Root settled down and held St. Louis scoreless the rest of the way and the Cubs tacked on four more runs in the eighth on Webb’s second homer of the game, a double by Riggs Stephenson, walks to Hack Wilson and Root, and singles by Grimm, Mike Gonzalez, and Sparky Adams to cap off the 10-1 rout. The Cardinals were sluggish out of the gate, going 18-16 through late May, and that cost them another pennant. They won 62% of their remaining 119 games, but couldn’t come closer to two games of first place until the last day of the season when they fittingly beat the Cubs to finish at 92-61 and a game and a half behind the pennant-winning Pittsburgh Pirates. On the other hand, St. Louis spared themselves the indignity of being shellacked by the 110-win Murderers’ Row Yankees, who outscored the Pirates 23-10 in a four-game sweep and won their second World Series title in five years.